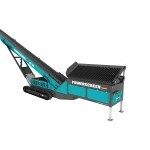 The Powerscreen HL75 High Level Feeder Tracked Conveyor combines the highly versatile Chieftain Feeder system and stockpiling conveyor, allowing the operator to directly discharge from wheel loaders to eliminate the double handling of material on site. 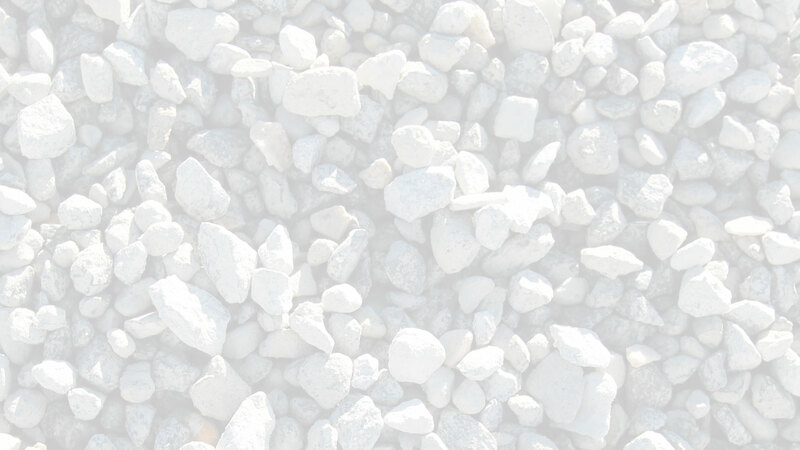 The fully mobile units can be used for a ‘metered or controlled’ feed of material into any Powerscreen equipment or other machines. The HL75 features a 75′ long conveyor. 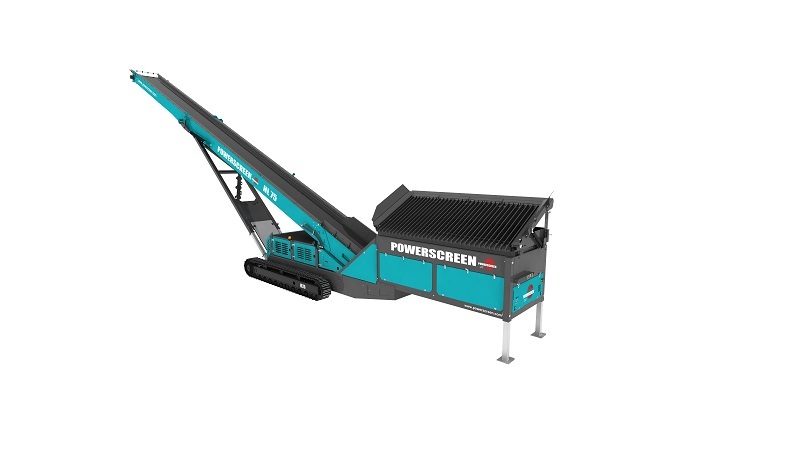 The Powerscreen conveyor range also includes the hugely successful Powerscreen CT65, CT80 & CT100 track mobile stackers which are cleverly designed to ship in a 40′ container. The extra conveyor and increased power, allows for maximum mobility and flexibility, reducing or eliminating the use of wheeled loaders on site. The high level feeder can cope with all applications, from light duty screened material, through to jaw applications.